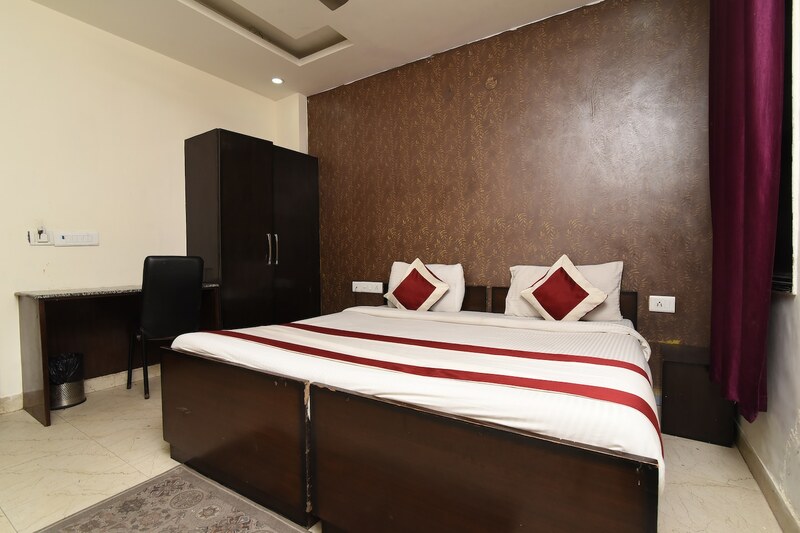 Hotel Marina is a modern budget property with comfortable rooms, in Mahipalpur Extension, in Delhi. It is strategically located close to the New Delhi Airport, and is also near Ramdev Mandir and Aravalli Biodiversity Park. The hotel has a kitchen and the rooms are spacious and cosily furnished. The bathrooms have stylish tiles and the latest fixtures. The rooms here come with AC, TV and free Wi-Fi. The hotel also provides CCTV cameras for security, power backup and card payment facility. The hotel is close to eateries like Resto 37, Burger Wala, Clash of Pans, and DC Burgar.